With the untimely demise of Vine, launched in 2013 and pronounced dead at founder-thrown RIP party, fans are scrambling to salvage precious remnants of the soon-to-be defunct social network. YouTube is always an option, though tedious, as is compiling clips onto a single video; however, neither format captures the looping quality that is so essential to Vine. Still in operation, the video-sharing app Vine is unlike any social platform of its kind. 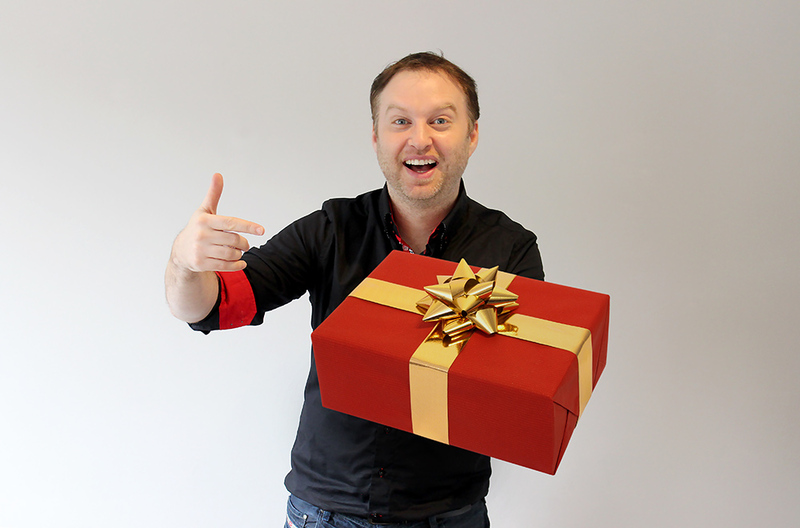 Video-creators are confined to a mere six seconds of content to impress with. Much in the way Twitter forced their users to refine thoughts into 140 characters, Vine forces creative minds to go full throttle in six seconds. What sets Vine apart is the ability to edit together short clips into a six second looping video. This means that six unrelated one-second clips can be combined to create a full experience that loops continually. Anne Horel, a self-described GIF and video artist, creates unusual, visually-provoking material, as seen below. Many an internet star have found their foothold in fame by producing hilarious, introspective, playful Vines. Watch Marissa Mayne, a Vine personality with 1.3 million followers, as she accurately portrays a Who from The Grinch Who Stole Christmas. Now that you've been initiated into the fold, aren't you concerned at the inevitable loss of this footage? What will happen to all the comedy gold? Never fear, Giphy is coming in to save the day! The animated image app and database has made it their mission to preserve the essence of Vine. 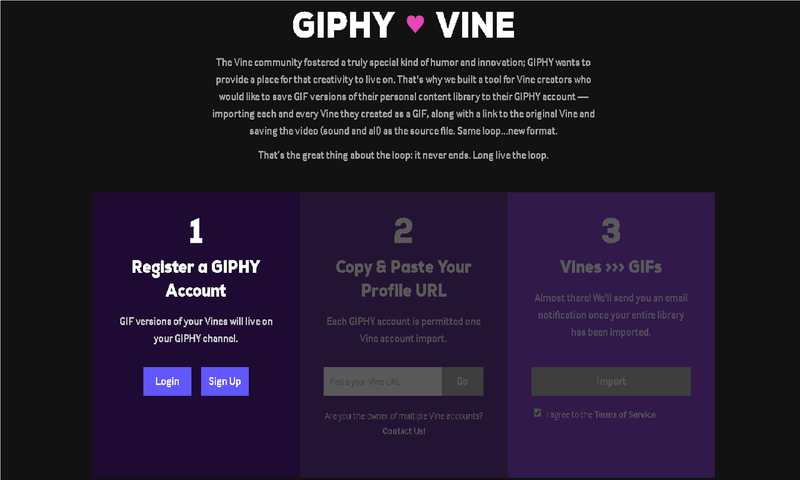 To do that, Giphy has configured a tool that will allow Vine creators to save their material in its original form. 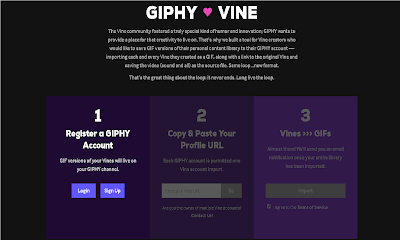 After registering for a Giphy account, simply paste a profile URL into the bar and Giphy will begin to convert the entire video library into GIFs. The tool will pair each GIF with an original link to the Vine, and save all elements of the video (including sound) as a source file. Find the tool here. Giphy has truly come through for the internet on this one, ensuring site traffic and support from homeless Viners. To conclude their instructions, Giphy says, "That's the great thing about the loop: it never ends. Long live the loop." A touching last word on the fate of Vine.